Condition: Excellent; Not like New; Not new. Signs of minimal use and being well cared for. Retains 90% of its original semi-firm shape. No missing or broken parts. British tan has darkened to a deep rich honey tan just as Dooney designed it to with age. No odd odors and clean with minimal signs of use. 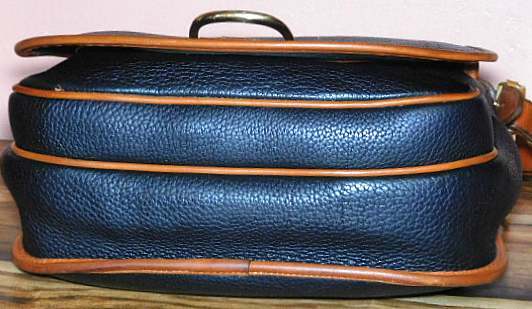 Jo's Note: "This is one of the Vintage Dooney bags we can't keep in stock! Such a functional unique bag is this Horseshoe Bag! 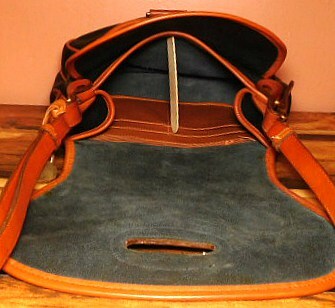 Other brands have tried to copy it, but none come close to the upscale design and organizational functionality of the Vintage Dooney Horseshoe Bag. 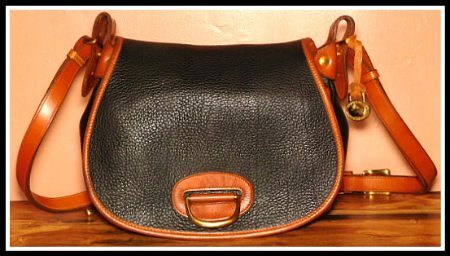 We are pleased to present this attractive clean structurally solid Vintage Dooney beauty!" 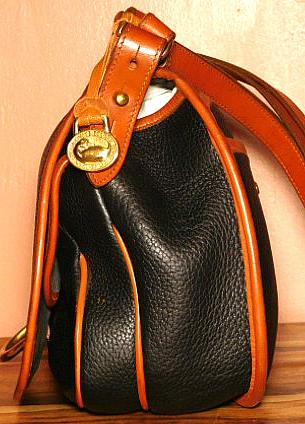 At our Vintage Dooney Bag store, we provide many pictures of handbags with many views. Photographing handbags is a bit tricky so some will show a bag in a slightly darker or lighter shade. When this is the case, I try to note which picture is the closest color to the actual bag. 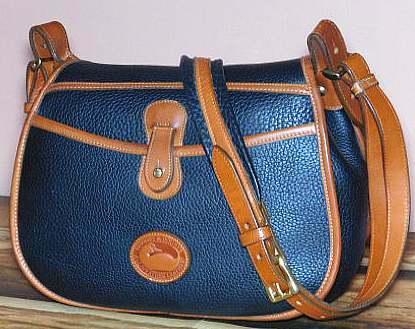 I’m happy to say the majority of my Dooney Bag pictures very accurately depict the actual colors. 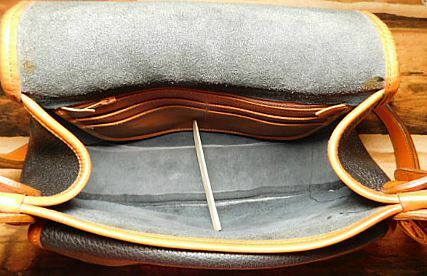 Leather trim & piping will contain any/all of the following: darkening of leather, slight light or dark color discolorations, small spot(s) of discoloration on strap/body/inside leather. 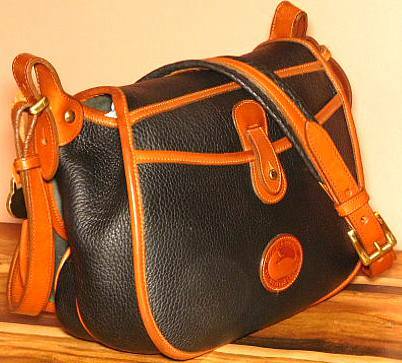 All Dooney's are professionally & painstakingly cleaned and restored with top grade professional leather care products from London England’s finest Cobbler shops. 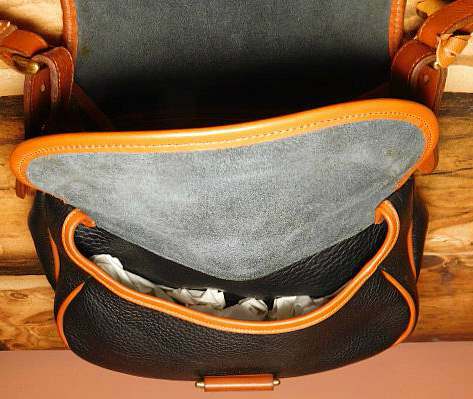 NO inferior leather products are used in the Restoration of our Vintage Dooney Bags! 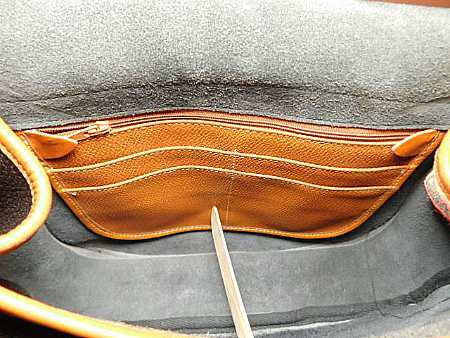 All stitching & leather straps/handles are conditioned with the finest leather care products which keep them from drying out & deteriorating. 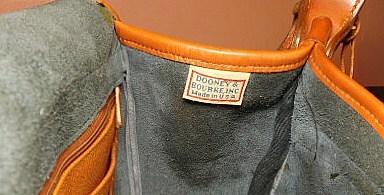 Vintage Dooney Bourke bags are not sold with broken parts or rips or odd odors such as perfumes or smoke. 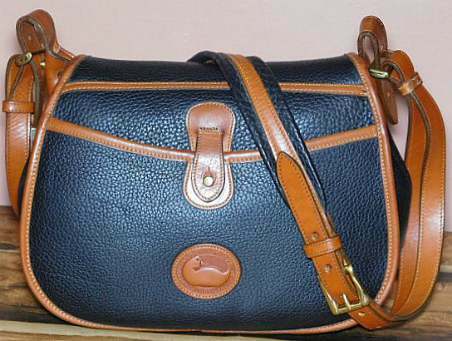 Occasionally you will find a Vintage Dooney Bag in our Bargain Bags section with a repair or having a bit more use, which will be noted in the description. 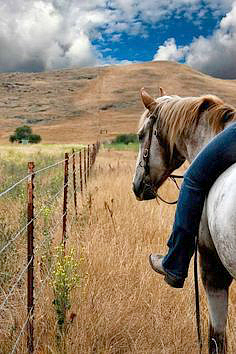 Accurate descriptions are given & all major recognizable signs of use are noted. Ask Questions before purchasing as I want you to be thrilled with your purchase! email me at vintagedooney@hotmail.com with questions. 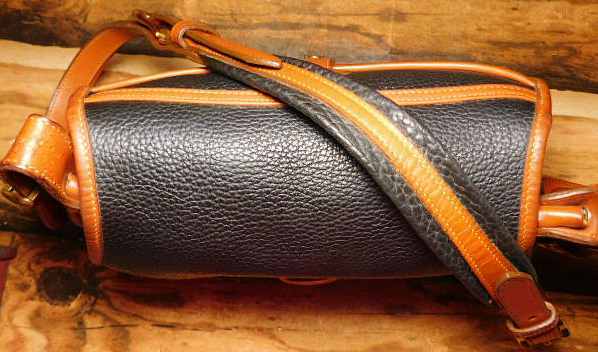 I am required to say that I am not an employee of Dooney & Bourke and, to the best of my knowledge; each bag I have listed on my site as such is a 100% authentic Dooney & Bourke Handbag. If I cannot verify the authenticity of a bag, I will say so. All bags except Bargain Bags come with a money back guarantee according to our return policy. 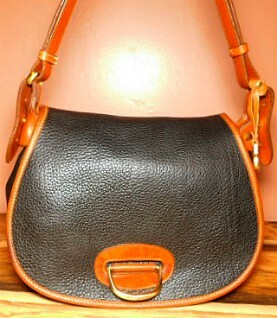 All Vintage Dooney Bags as well as Bargain Bags are guaranteed 100% authentic or your money back.